Mont du Soleil is ideally suited for a number of differing events. 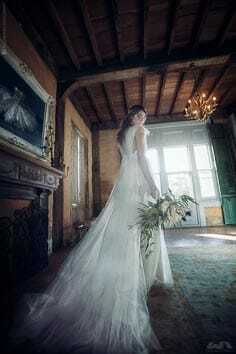 It is extremely popular as a location for fashion shoots and pre-wedding photography and has been featured in many well known magazines and websites. It has also been used as a film set. Mont du Soleil is also available for ceremony-only weddings. An adjacent cottage can be used on the day by the wedding party. Mont du Soleil is also an ideal location for retreats and off-site meetings. Contact us to find out more information. Being a large estate (40 acres) and containing a wide range of beautiful: architecture, landscapes and views; Mont du Soleil is a truly unique location. Mont du Soleil features a truly unique architecture and ambience. Sitting on top of a sunny north facing hill - with panoramic views of the Yarra Valley and Warburton ranges. The ground floor of the main house comprises spacious rooms. The outside area surrounding the house features large terraces and court-yard plus access to 40 acres of farm and natural bush setting, (including creek lined with Mountain Ash and ferns). Accomodation is also available on the property. ﻿﻿Whilst Mont du Soleil is located on a large 40 acre rural property, with breathtaking views of the Yarra Valley and Warburton ranges - it is located less than an hour from Melbourne CBD.